We add a historical and regional dimension to the current debate on the Greek debt crisis. In analysing 100 years of exchange-rate experience – from the foundation of the National Bank of Greece in 1841 to World War II – of Greece, Bulgaria, Romania and Serbia/Yugoslavia, we find surprising parallels to the present: repeated cycles of entry to and exit from the dominant fixed exchange-rate system of the day, government debt built-up and default, and financial supervision by West European countries. Why was exchange-rate stabilisation so short-lived in international comparison? The SEE countries conducted more often than not fiscal policies inconsistent with exchange-rate stability. Persistent budget deficits were either monetised or financed through (international) bond markets. Joining the pre-1914 gold standard required phasing out debt monetisation, yet Granger causality tests show that this proved elusive for decades; only Romania was able to reform its fiscal institutions and cut the link from deficit to debt monetisation on its own. In all other cases this was achieved only under the financial supervision arrangements which Greece and Serbia entered into after their defaults (and Bulgaria accepted “voluntarily”), when creditor countries prohibited debt monetisation, improved tax collection and gave controlled (and hence sustainable) access to international capital markets. It was this much improved institutional environment which allowed Greece, Bulgaria and Serbia to stabilise their exchange-rates in the early 20th century. Similarly, exchange-rate stabilisation in the 1920s was achieved by international loans which came with the explicit prohibition of debt monetisation (in an attempt to secure gold standard adherence and hence repayment of the loans); once financial supervision receded (with the disintegration of the gold standard in 1931/32), budget deficits were again routinely monetised. Fiscal institutions have remained weak in the case of Greece and are at heart of the current crisis. A potential lesson for today might be that the EU-IMF programmes – with their focus on improving fiscal capacity and made effective by conditionality similar to the earlier SEE experience - remain the best and perhaps only guarantor of continued Greek membership in the euro area. Understandable public resentment against “foreign intrusion” might need to be weighed against their potential to secure the long-term political and economic objective of exchange-rate stabilisation. 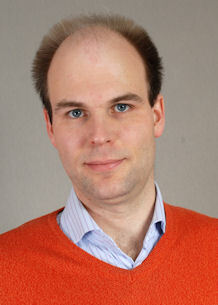 Matthias Morys is Lecturer in Economic History at the University of York (UK). He earned a Ph.D. (2006) in Economic History from the London School of Economics and Political Science and worked as a postdoctoral research fellow at the University of Oxford (2005-08) prior to coming to York. Earlier degrees were obtained in Economic Histroy (M.Sc., London School of Economics and Political Science, 2001), Economics (Diplom-Volkswirt, German Open University, 2003), History and Philosophy (Magister Artium, Humboldt University Berlin, 2000) and Law (Erstes Staatsexamen, LMU Munich, 1998). His research interests include monetary and financial history of the 19th and 20th centuries, the analysis of historical business cycles and the economic history of Central, East and South-East Europe. Recent publications include „The emergence of a European region: Business cycles in South-East Europe from political independence to World War II (European Review of Economic History, forthcoming, with Martin Ivanov), „Gold standard lessons for the Eurozone” (Journal of Common Market Studies, 52/4 (2014), pp. 728-741) and „Discount Rate Policy under the Classical Gold Standard: Core versus Periphery, 1870s-1914“ (Explorations in Economic History, 50/2 (2013), pp. 205-226). He acted as an academic advisor to the South-East European central banks and the Österreichische Nationalbank in their 2006-2014 project to collect, systematize and publish their monetary history data from the 19th century to World War II. He is currently editing a multi-authored book titled „The Economic History of Central, East and South-East Europe, 1800 to the present day (under contract with Routledge for delivery in 2016).